You don’t have to generate revenues to increase your bottom line. In fact, some of the largest companies in the world, such as Texas Instruments, Mattel, Caterpillar, Google and others increase their bottom line without selling anything. And you can do the same thing. It’s called R&D tax credits and it’s used by these big corporations to cut their tax rate, effectively saving them tens of millions of dollars that goes right to their bottom line. And here’s the good news – R&D tax credits aren’t only for the big corporations. Small, mid-size businesses, and startups are eligible to get the tax credit - even for R&D expenses from past years. If you’re in an R&D intensive industry, such as med tech, biotech, pharmaceuticals or high tech, then you owe it to your business to attend the upcoming free workshop – How to Turn Your IP R&D Expenses into Tax Free Licensing Revenue. During this free workshop, you'll learn about the billions of dollars in tax credits available on everything from product development, process, techniques, formulas, inventions, software – even outsourced labor. You’ll learn what it is, how to get it, and how to use it as part of your revenue and licensing strategy. 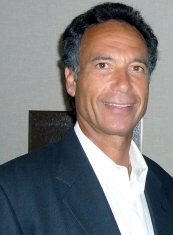 Rand Brenner is the CEO of Licensing Consulting Group. He has over 30 years IP management and licensing experience with various industries including consumer products, food, entertainment, software, health technology, medical devices and digital media. He has led international licensing programs as both licensee and licensor, and through consulting projects focused on IP strategy, outbound licensing campaigns, and IP rights acquisition. 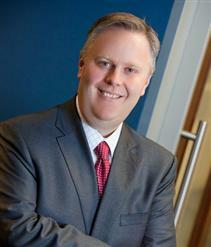 Greg Pfeuffer is a Partner with Mueller Prost and leads the Orange County office. Greg’s goal is to change the perception that accounting is just overhead! The reality is that every dollar an accounting team generates or saves goes straight to the bottom line! With that in mind Greg find ways for CEOs, CFOs and accounting teams to generate profit and cash flow. He accomplishes this by focusing on the people, processes and use of technology while also identifying opportunities for tax incentives and savings.